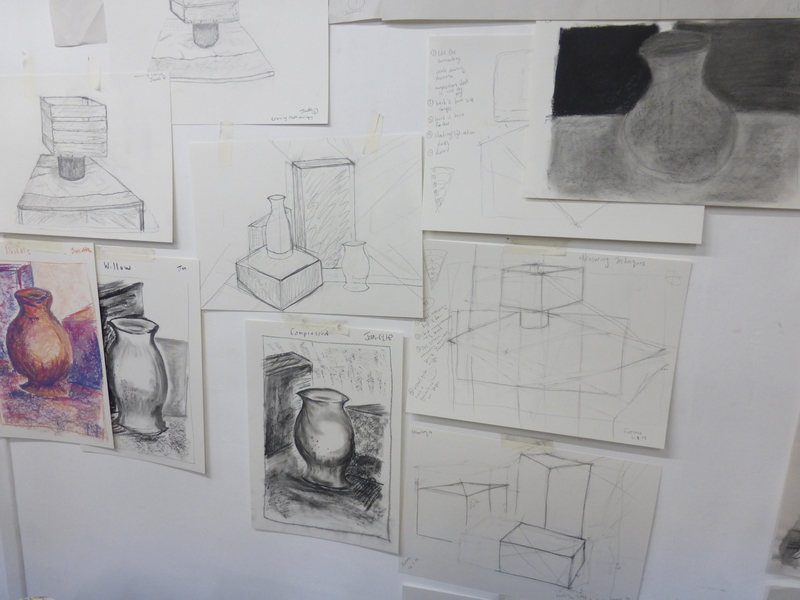 What a wonderful weekend teaching my Begin to draw + paint course again. Miserable weather outside but nice and warm in my studio with plenty of warm drinks and chocolate biscuits to take us through the day. Victoria summed up her experience of the course as, “Excellent, can’t recommend enough. Gave me confidence in a number of mediums and allowed me to figure out what works best for me.” She thought the highlights of the course were that she, “Tried methods of painting that I hadn’t used before and am eager to try again”. Read further to find out what the other students thought of the weekend. “Very good informative, practical fun. Relaxed. Nice amount of people. Tuition good – one to one time.